Learn how to properly share and store an After Effects project with these tips. You certainly don’t want your After Effects project looking like that on the other end when you hand it off! 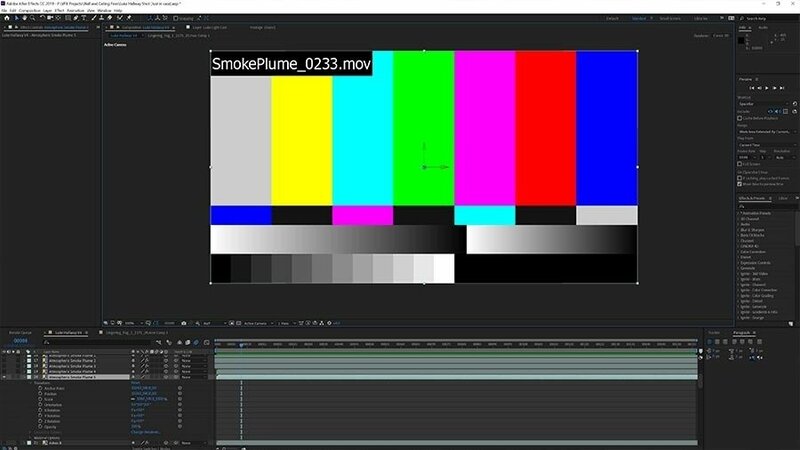 We’ve looked at how to tidy up a messy VFX project in After Effects, and today we’re going to look at the easiest way to share and store your completed After Effects project. The simple process we’re going to show you can give you a massive advantage when it comes to streamlined file storage, saving you both hard drive space and your sanity - and make it a breeze for co-workers to access your project. You can use a few great functions within AE’s “Dependencies” sub-menu to minimize the clutter in your VFX project before you send or store it. As VFX projects can expand in scope and file size, it’s important to work as tight and organized as possible. Just what it says! It removes assets that are not in use. Deletes all files not associated with the folders and comps you’ve selected, while retaining all assets that are called on within those selections. You’ll want to run through all those commands first. Gathers all assets within your After Effects project, then gives you the option to copy and export them all separately to an ordered folder for delivery or storage. You can imagine how valuable Collect Files can be because this command ensures your project has every asset intact before you send it off. By going through this Dependencies menu check-list, you are trimming out all the unnecessary fat of your project, and making it as accessible as possible for the next person who is going to open it. Once you’ve completed the organizational steps to clean up your project, it’s time for the next steps - sharing and storing your After Effects project. Although much of the VFX community are undoubtedly Creative Cloud members, there are a few ins and outs that tend to get overlooked, such as the inbuilt project sharing platforms, Shared Projects, and Team Projects. You can access these in After Effects by going to File>Shared Projects/Team Projects. Their similar titles are kind of confusing, so let’s clear up the differences. Shared Projects - This method is local storage-based, meaning you share the project over your company’s on-site storage. This is ideal for larger, more complex projects, and affords you a bit more control over your project. Simply put, you supply the network infrastructure, and Adobe provides the native collaboration capability. Of course, you don’t have to use either method and could follow the tried-and-true path of managing your project yourself, across your own cloud-based storage solutions and media-sharing environments. Just make sure you have backup redundancy so you aren’t out of luck if a hard drive crashes. Just like we discussed in this recent After Effects article, having guidelines in place for your team is paramount to having an ordered and manageable VFX environment. While Dependencies commands in After Effects can help your VFX project be nice and neat, establishing protocols among your team for naming, file structure, sharing, and storage will prove to be a tremendous help to the success of your project. Sometimes to work smarter, you have to initially put in a little extra effort to learn a new process or to put plans in place, but once an efficient system is established, it can make a huge difference on both the ease and final result of your workload. Are there any great VFX project sharing or storing solutions you’ve enjoyed using? Let us know in the comments!